Living in the woods can be a desolate solution, it is always nice to be with other friendly people, and these ideas are "just in case" or just a day in the woods. severe storms, even in the possibility of a chaotic situation and panic in the city in an event of evacuation. As much as you can carry or want to carry, load into a vehicle. Non military style clothing for travel, tent and sleeping bag or blanket and roll for the bush. A knife in sheath with folding blade up to 3" blade which is not concealed and on a belt holster is legal, a sharpening stone. The LifeStraw® Steel personal water filter builds upon the ingenuity intrinsic to the original LifeStraw® personal water filter with a durable, sleek steel exterior and 2-stage water filtration process. It is ideal for hiking, backpacking, camping, and travel. The hollow fiber membrane will filter out virtually all bacteria and protozoa. A charcoal base with a cotton filter would work but just to be sure, see the many methods for filtering water. 40 oz Sigma 3 Klean Kanteen, Water purification tablets, Sawyer 2 L. bag water treatment. 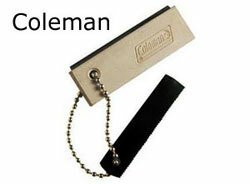 Ferrocerium rod (ferro rod), fire stix, fireSLEEVE, sigma 3 fire kit, stormproof matches, titanLIGHT, fire cord. nitecore headlamp HC50, nitecore P25 Smilidon Flighlight, nitecore MT1C Flashlight Battery - RCR123A, 30 day classic lantern black. first aid 1.0, first aid pocket field guide, SOL emergency survival bivvy. warbonnet blackbird hammock, warbonnet superFly tarp, snugpak tactical series 4.
silky ultra accel - Japanese steel saw blade, Sigma 3 survivor - Bushcraft blade, Lansky puck sharpenner, Hults Bruk Akka forest Axe. It being your own personal firearms or primitive weapons, the choice is yours. Plan a route with google if internet and electricity or battery power is still available, see your satellite view and where you can travel to if need be. Happy trails to you, Until we meet again, Happy trails to you, Keep smiling until then. Roy Rogers, Dale Evans, Dusty Rogers. Emergency foil blankets also known as space blankets, emergency camping blankets or mylar foil blankets. Find the biggest selection of Body Armour for Sale in Canada at HeroOutdoors, Level 3A, and 4 available. World #1 Knot site. Better to know a knot and not need it, than need a knot and not know it. Mats, Stoppers, Slide/Grip, Knot list(A-Z), Store. Water Hemlock - the most poisonous plant in North America. A single mouthful will kill you! Get to know this plant well. leave all plants that resemble Water Hemlock alone. Canada Moonseed - Can be mistaken for Wild Grapes - fruits and roots poisonous. Also don't drink the water from a cut vine. Wildwood Canada, Mumart, Wild Ontario, Ontario Trackers, Orangeville Trackers, Wildwood Trackers, Earth Caretaker. Should Canadians have a right to live off the grid ? While technology has made the idea of plopping down far from the madding crowd easier than ever, the seemingly unyielding march of red tape has moved in lockstep. In some jurisdictions, in fact, off the grid living has been made illegal. Going off the grid is like insuring yourself against a time the lights may go out, he told Christian Science Monitor. In the 1970s you had a lot of old-style hermitlike survivalists. But these people are different. Before then I had heard people claim they were off-grid if they switched their cell phone off for a day or two. Other people thought anyone who lived in remote places was off-grid. It was when I first visited British Columbia's Lasqueti Island and later the floating home community of Clayoquot Sound that I got a real taste of the off-grid life: life, that is, in a place disconnected from large natural gas and electricity networks. Trailer for 'Life off Grid,' an upcoming documentary film by the authors. Fire starter by shaving some magnesium off of the block into a small pile along side of some fine dry burnable material like cotton balls or brush, using a knife to strike(scrape) the ferro rod making sparks onto the magnesium pile, progresively add larger pieces of wood, - voila, you have fire ! 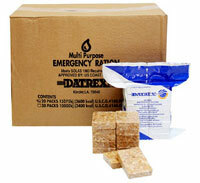 All purpose firestarter is waterproof and fireproof in solid form. If you have been out in the woods and are cold, you know how vital getting a fire can be. Everyone in Ontario is encouraged to be prepared by creating a plan, assembling an emergency survival kit and by staying informed. Learn what situations you need to plan for, such as where to go in an evacuation or how to reach family members. Everyone should have an emergency survival kit, with the supplies needed to be safe and take care of yourself and your family for at least three days.